Backpacks are cool. Messenger bags are fine. But peep the ever-useful and stylish rucksack. 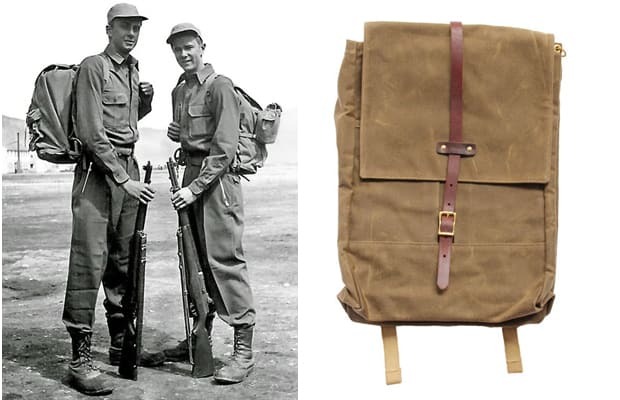 A German military staple (“der Rucken” means back, and “Sack” means bag) that dates back to 1890, typically used for hiking due to its durability, ability to withstand harsh weather and heavy weight. Now, of course, they still do the same, just to a lesser extent. Carrying your books to class has never looked so rugged.